As it is past midnight, it is fair to say that the highly apposite anniversary was yesterday. 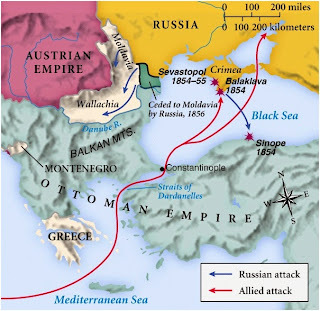 On March 28, 1854 Britain and France declared war on Russia and the complicated and unpleasant business known as the Crimean War began and went on till 1856 with the Peace of Paris signed on March 30 of that year. 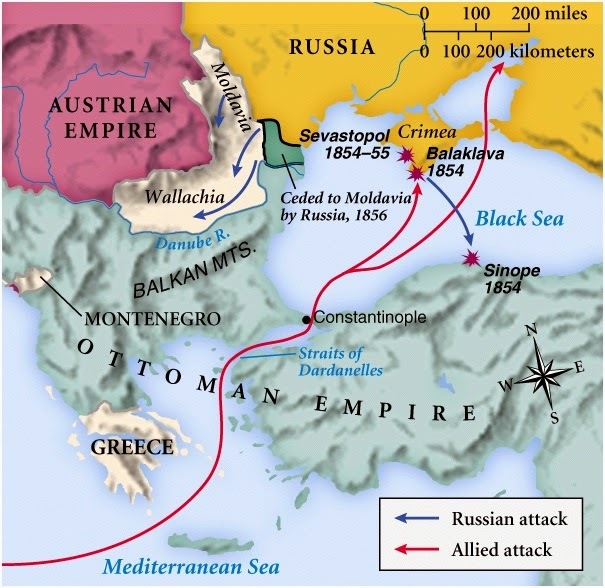 It is fair to say that the war led to some reforms in military matters in Britain, a greater understanding of the need for nursing (though that took a long time) but above all it led to the Alexander II's great reforms, the greatest of which was the Emancipation of the Serfs in 1861. 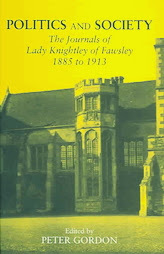 There are many interesting comments in the diaries of Lady Knightley of Fawsley and a longer posting will appear in due course, as well as many more snippets, I have no doubt. This struck me as sadly ironic. Writing on March 8, 1906, almost two months after the catastrophic (for the Conservatives) election that also brought in twenty-nine Labour members (Lady Knightley thought as she heard the results in January that there would be forty to fifty) she mentions that a Resolution in favour of payment of Members brought in by William Hesketh Lever, Liberal MP for Wirral, had been passed in the House the previous evening. She was discussing this with William Ryland Dent Adkins, barrister, who was, by this time a Liberal MP for Middleton, Lancashire but still active in Northamptonshire politics, as they were waiting to be seen by the Board of Education. He [Mr A.] one good point when discussing a payment of Members (a resolution in favour of which was passed last night). He siad it would make the Labour members more independent of the trade unions. Ho-hum thought I, as I read that. It is fair to say that practically none of the effects that payment of Members was supposed to produce came about. Today is the anniversary of James VI of Scotland becoming James I of England in 1603, thus uniting the two kingdoms in the monarch's person. The anniversary is not a particularly notable one but History Today is celebrating it by reprinting a 1999 article by Roger Lockyer, whose name must surely be familiar to anyone who has ever studied that period. Can one even envisage school and university courses without Professor Lockyer's books, particularly Tudor and Stuart Britain? My own well-worn copy is still on my shelf, to be consulted from time to time. The article, which gives a largely positive view of King Jamie, is well worth reading. Of course, it is no longer completely de rigeur for historians to say merely bad things about the King but the bad press that has been his fate since the first half of the seventeenth century is still accepted by many. Not by Roger Lockyer. Tory Historian is reading Disraeli or The Two Lives, a cleverly titled book by Douglas Hurd and Edward Young. In chapter III, Doer or Dreamer there is a discussion about Disraeli's novels that have fallen completely out of favour. Hardly anybody who is not a specialist in Victorian literature or Disraeli himself reads them now though the later ones are not that bad. The early ones, on the other hand, are truly terrible. ...the glory has been the glory of pasteboard, and the wealth has been the wealth of tinsel. The wit has been the wit of hairdressers and the enterprise has been the enterprise of mountebanks. And yet Trollope's attack does not quite ring true. This is not simply because in Disraeli's later novels we find real jewels of cleverness. Rather, in all his novels, bad and good, mature and puerile, Disraeli was seeking something other than literary achievement. A conflict had emerged in Disraeli's early years which never fully resolved itself. On the one hand, Disraeli became a passionately ambitious politician, intriguing and manoeuvring with growing skill, choosing whatever tactics and relationships might take him up the greasy pole. On the other hand, through his interest in literature he developed a set of ideas to which he was devoted and which throughout his life he spent much time refining. He refused to give up either his career or his ideas; so how could they be reconciled? The answer was through his novels. For Disraeli, literary sparkle held the key to great leadership. Here was a man who had diagnosed the nation's ills and could supply the relevant imaginative remedies. Together with his Jewish stock and ancient ancestry, it gave him, as he later suggested, the feeling on waking each day that he could topple governments and shake dynasties. That may not tells us a great deal about the literary quality of the later novels, such as Coningsby or Sibyl but the comment does try to grapple with some of the contradictions in Disraeli's personality, which is one of the book's avowed aims. Tory Historian has started reading two books (among others), written by people who are completely overwhelming. Readers of this blog will be pleased to know that TH has finally launched into Frederick Burnaby's A Ride to Khiva, which is not just a tremendously exciting and frightening account of an unbelievable journey but is also highly entertaining. Burnaby wrote only two books in his life, which was a remarkable one by any standard (blogged here), but he clearly had a wonderful eye for details and a talent to make them sound amusing and interesting. Incidentally, he seems to have travelled several times in European Russia before he decided to ride off to the newly conquered lands in Central Asia and, unlike many, learned the language and found out a great deal about the country. The other book is the Northamptonshire Record Society's edition of the later diaries of Lady Knightley of Fawsley. Lady Knightley was a remarkable woman and a separate posting about her when TH has finished reading her diaries will follow. She was married to Sir Rainald Knightley, later Lord Knightley of Fawley, a Tory MP of outstandingly old-fashioned views on politics and Parliament. This morning I spent on a Girls' Friendly Society Committee [one of many organizations Lady Knightley was active in]; then came back here to receive a visit from Lady Wimborne [sister of Lord Randolph Churchill] and be enrolled as a 'dame' in the Primrose League... It sounds all rubbish but the objects, 'the maintenance of Religion, of he Estates of the Realm and of the ascendancy of the British Empire', are excellent and I can quite believe that the paraphernalia helps to keep the Conservatives together; means, in short and army of unpaid canvassers. The rest of the day's entry presents a picture of a day that is exhausting to read about, never mind experience. Lady Knightley was also an active member of various Conservative suffragist societies and a numerous charitable and social organizations, usually finding herself on committees or in charge of the literature. As mentioned above, a fuller posting will follow in due course. Despite all the activity, she found time to keep a diary throughout most of her life. The early parts of the journal were edited by Julia Cartwright, later Mrs Ady and published in 1915 and are now available on line. The journals of the years 1885 to 1913 (when she died) were edited and exhaustively annotated by Peter Gordon and published 1999. These are the ones TH has been reading. They are not for the faint-hearted but are, nevertheless engrossing. In both these attributes Politics and Society: The Journals of Lady Knightley of Fawsley 1885 to 1913 resemble A Ride to Khiva. Tony Benn (1925 - 2014) formerly known as Viscount Stansgate and Anthony Wedgwood Benn can claim one achievement in his political career and that is the passing of The Peerage Act 1963 but one wonders how pleased he was by the unexpected consequence. 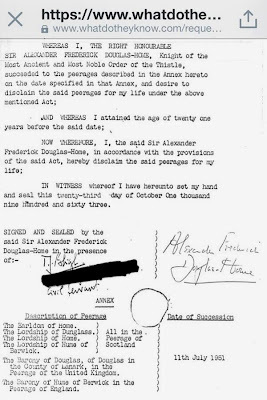 No sooner was the Act passed than the 14th Earl Home used it to disclaim his peerage and to become, as Sir Alec Douglas-Home, the Leader of the Conservative Party and a not unsuccessful Prime Minister. Readers of this blog know that there have been several postings on John Buchan in the past, he being something of a favourite for many reasons. As part of my post-hospital convalescence I picked up one of the Buchan thrillers I had not read before, The House of the Four Winds, and read it in short order. It is probably the weakest of the three Dickson McCunn tales and is one of Buchan’s weaker thrillers, taking place not in Britain but in the invented Central European country, Evallonia, which resembles Austria in many ways but is not. A continuation of the tale in Castle Gay, it is a wonderful hokum that involves a nasty republican government backed by sinister Marxists, about to be toppled, a self-organizing young civilian army, Juventus, modelled to some extent on Mussolini’s fascisti, a complicated way of ensuring that Prince John becomes king and, above all, a circus run by a cousin of Allison Westwater’s and Janet Roylance’s with a thoroughly likeable and useful elephant by the name of Aurunculeia. We also meet many of the Buchan heroes: Dickson himself, two of the erstwhile Gorbals Die-Hards, Jaikie Galt and Dougal Crombie, Allison who ends the novel as Jaikie’s fiancée and the Roylances. It is a little odd that Buchan did not write any more Dickson McCunn mysteries as he was obviously fond of the characters and the ending of The House of the Four Winds requires some kind of continuation. Though most of our heroes leave Evallonia, Jaikie remains, the trusted confidant of the about to be crowned King John and an officer in Juventus. Surely, there must have been some plan to get him back to Britain, to Allison who is unlikely to be happy away from Scotland and into that great career that everybody is predicting though nobody really knows what it will be. As we never hear of him later on as a rising politician, we must assume that he did not enter British politics. 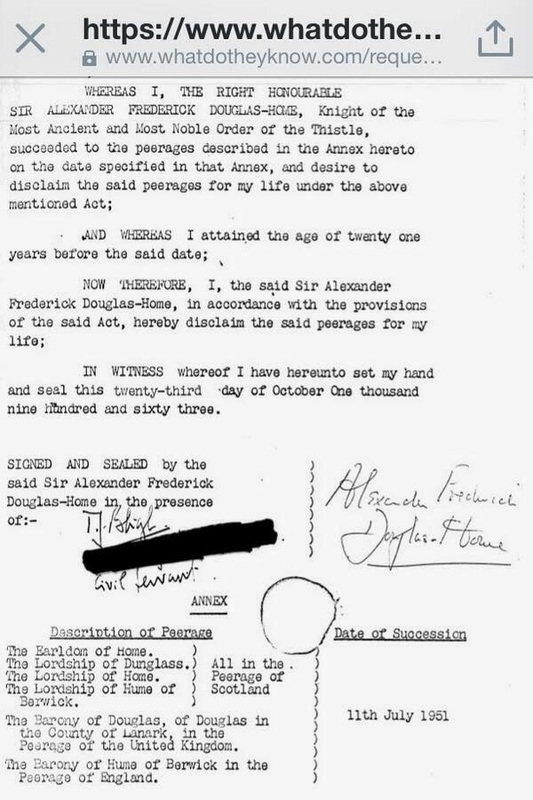 Was he snapped up by Sir Walter Bullivant’s successor for the secret service? Did he become another Sandy Arbuthnot with a very different sphere of interests and talents? We never find out. (At least, not as far as I know.) Of the series characters only Archie Roylance turns up in subsequent novels either in person (Island of Sheep) or as a mentioned name (Sick Heart River). We must assume that his marriage to Janet continues to be happy. The book was published in 1935 by which time it was clear that Evallonia is unlikely to fare well in the near future. The Communist thug Mastrovin is particularly evil but Juventus has sinister overtones and there is something slightly frightening about them. In the immediate plot they side with the monarchists and help Prince John to the throne. Also several of their leaders seem to be either part-English or educated in England. In reality, as Buchan knew well, the likes of Juventus were not led by people with Cambridge education and were not particularly gentlemanly. Another reason for bringing Jaikie home, I should have thought. Perhaps, Buchan intended to do so but did not quite get round to it.